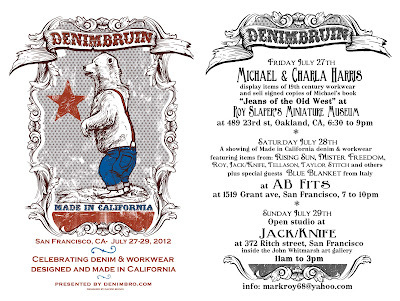 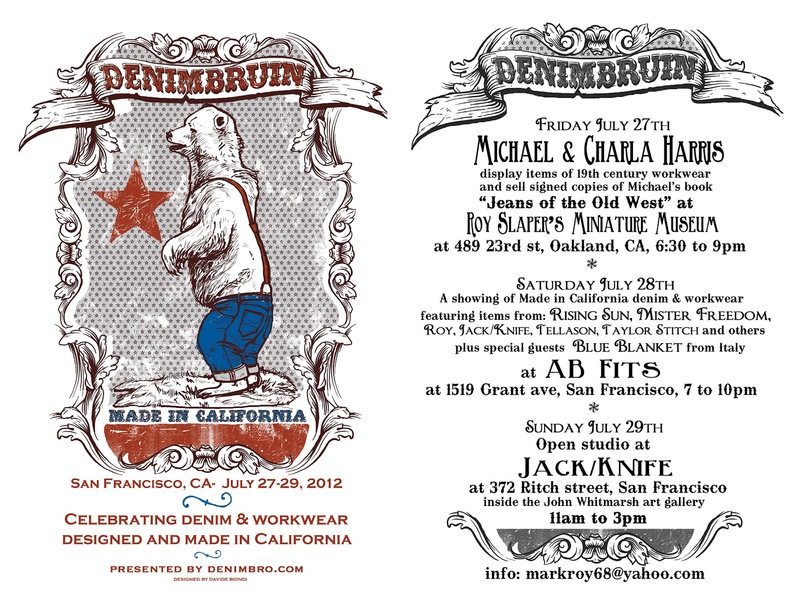 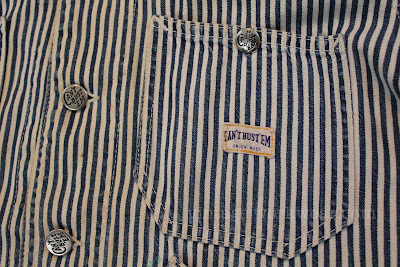 In honor of the upcoming DENIM BRUIN - MADE IN CALIFORNIA event this coming Friday thru Sunday July 27-29 in San Francisco, CA celebrating denim & workwear designed and made in California, we share a vintage CAN'T BUST 'EM engineer coat in a much favored vest jacket style that was made some 70 odd years ago in the great city by the bay. 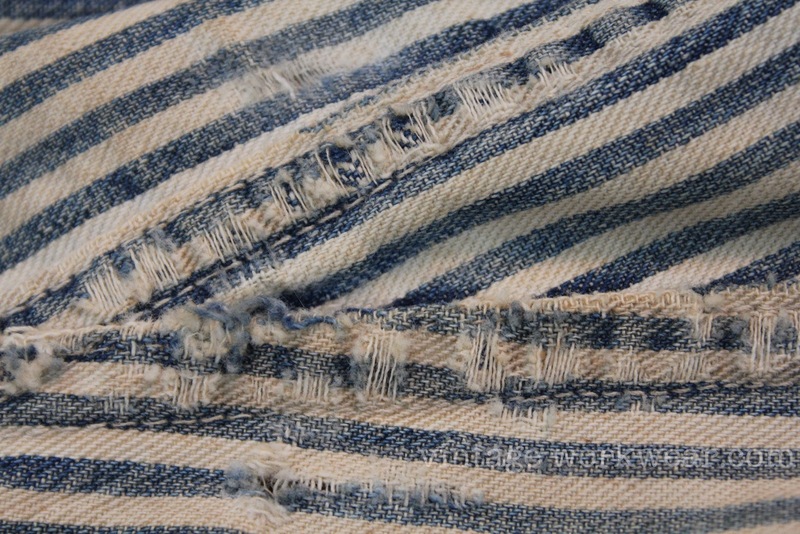 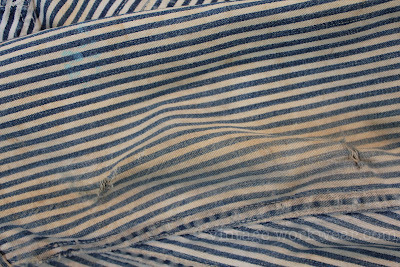 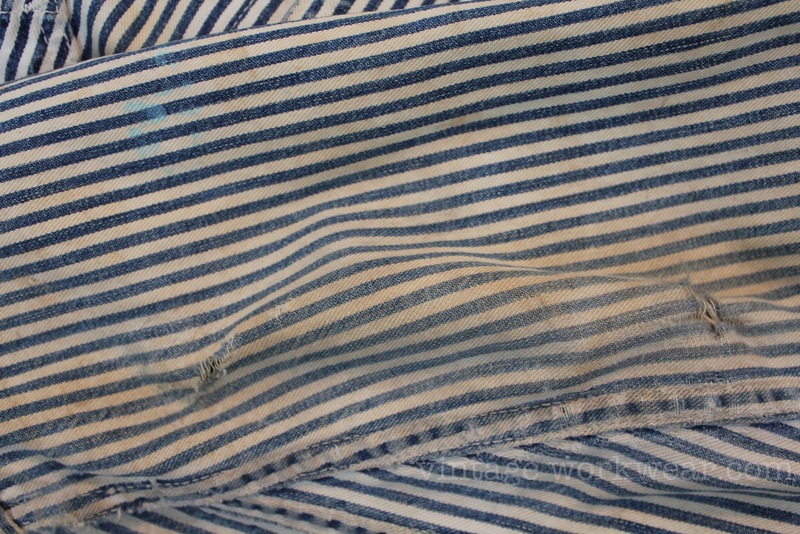 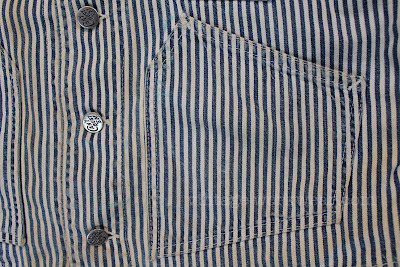 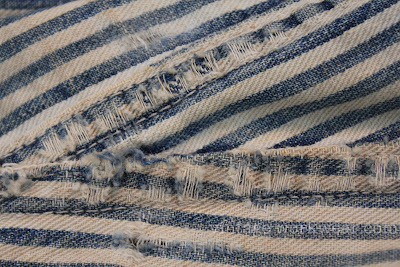 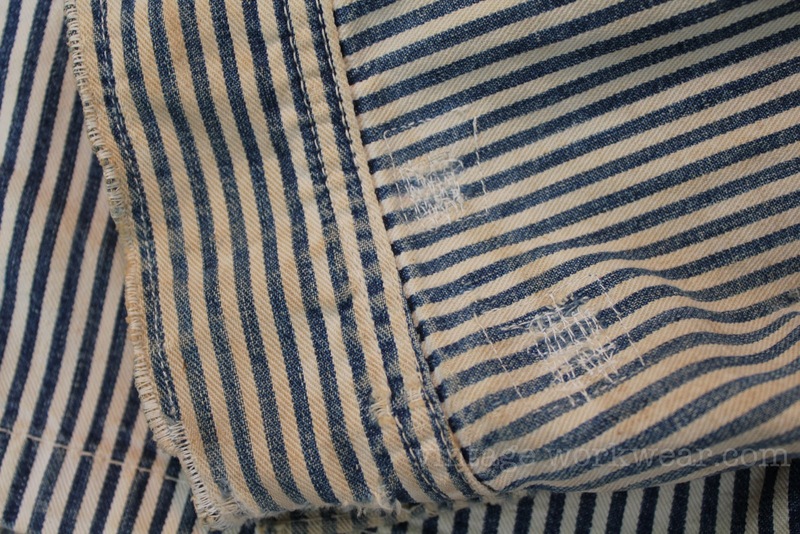 This garment is constructed using express stripe denim which has a wider stripe pattern than the more commonly seen hickory stripe variety. 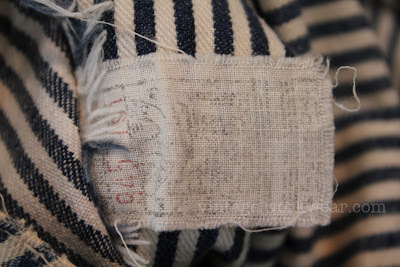 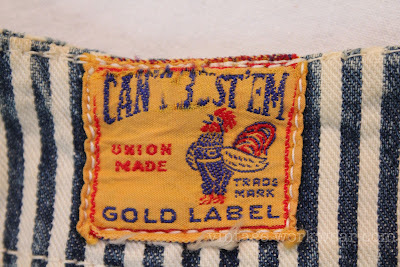 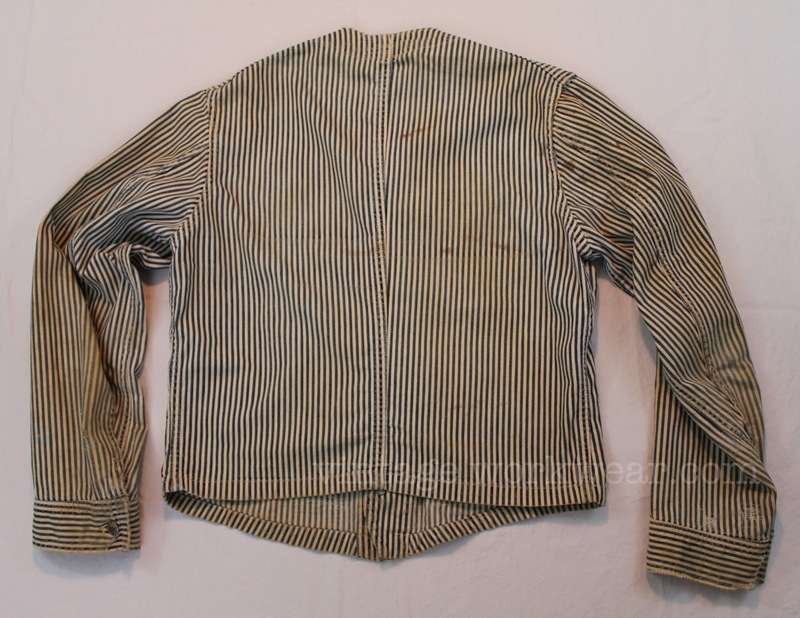 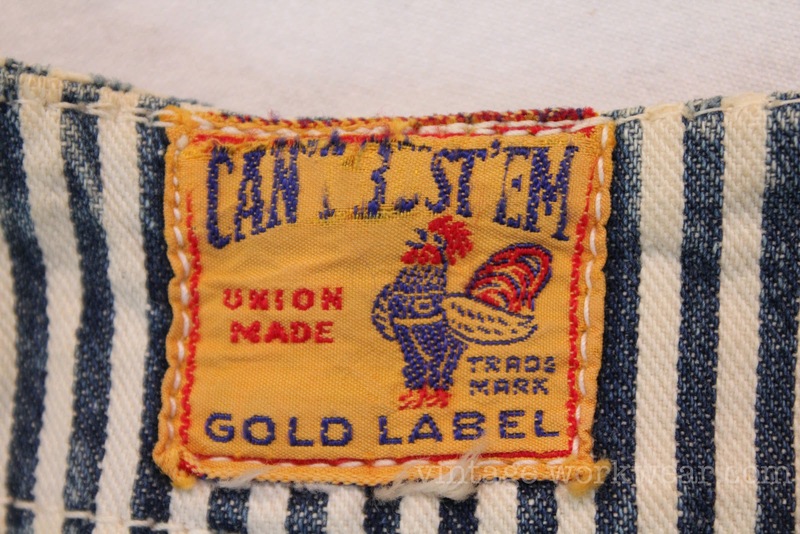 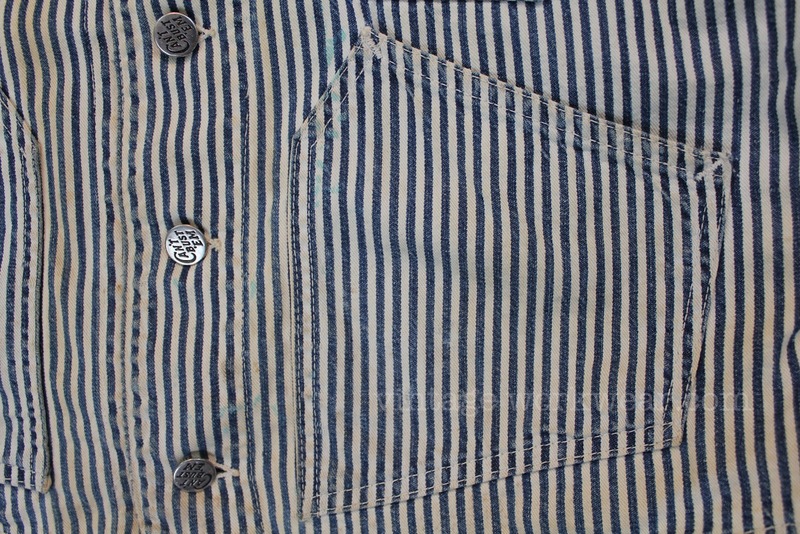 The GOLD LABEL tag located at the inside collar likely dates this jacket to the 1940's. 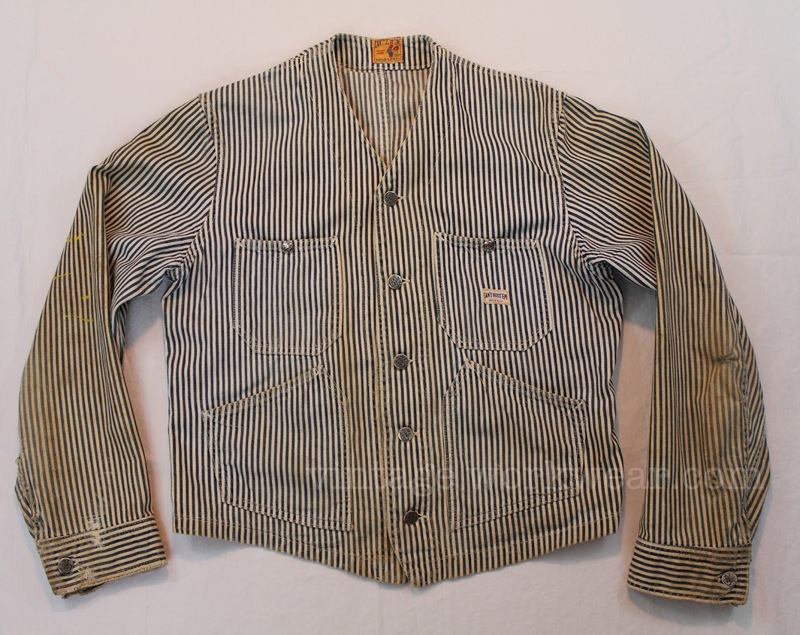 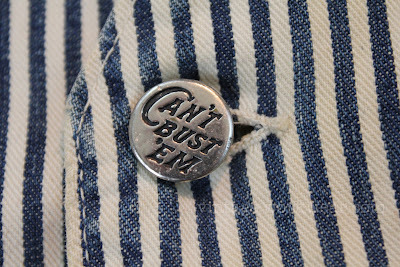 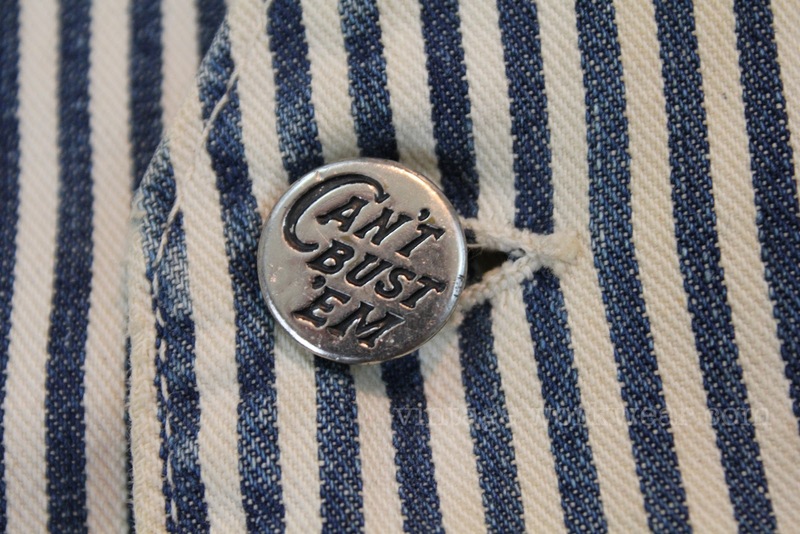 From the VintageWorkwear.com collection. 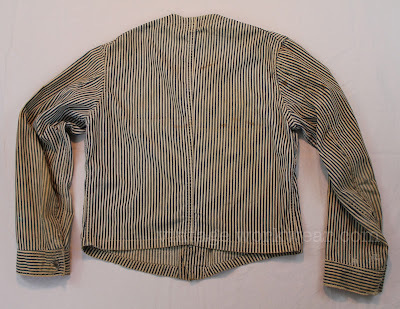 I have seen a catalog illustration of an almost identical sleeved vest made by Filson, only in their tin cloth. I believe I may have seen one on eBay. 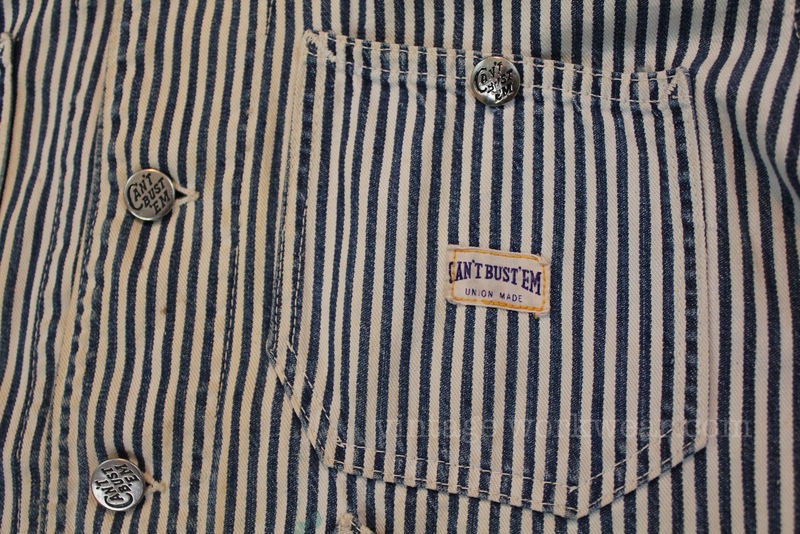 Very interesting design but I've never seen one in any old photo of workers.